A unique opportunity to take a deep dive into your practice and deepen your knowledege in anatomy. 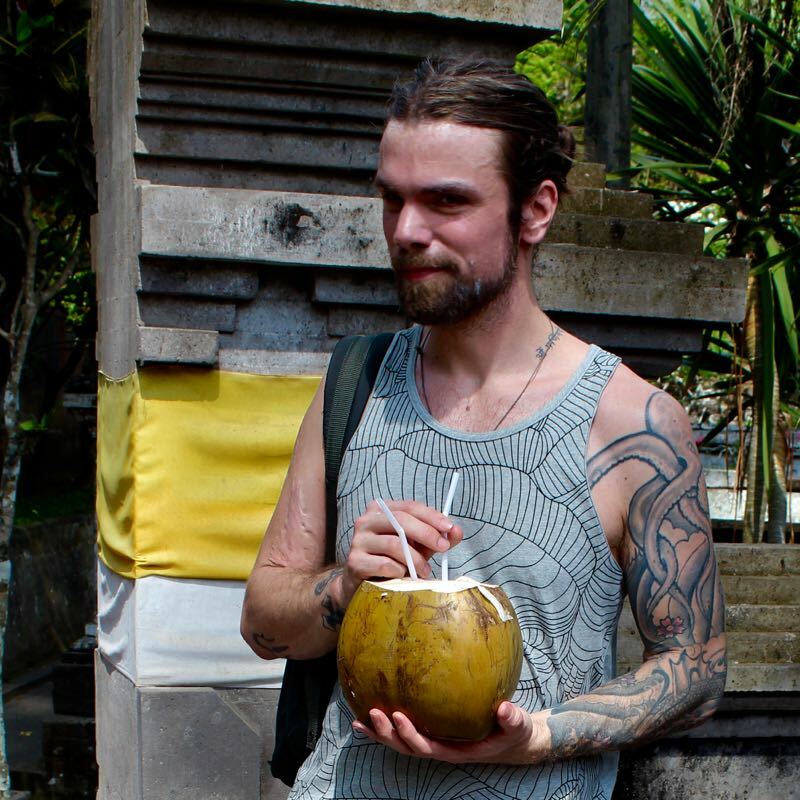 Stu has been teaching yoga related anatomy for the last 7 years both on teacher trainings and international workshops. 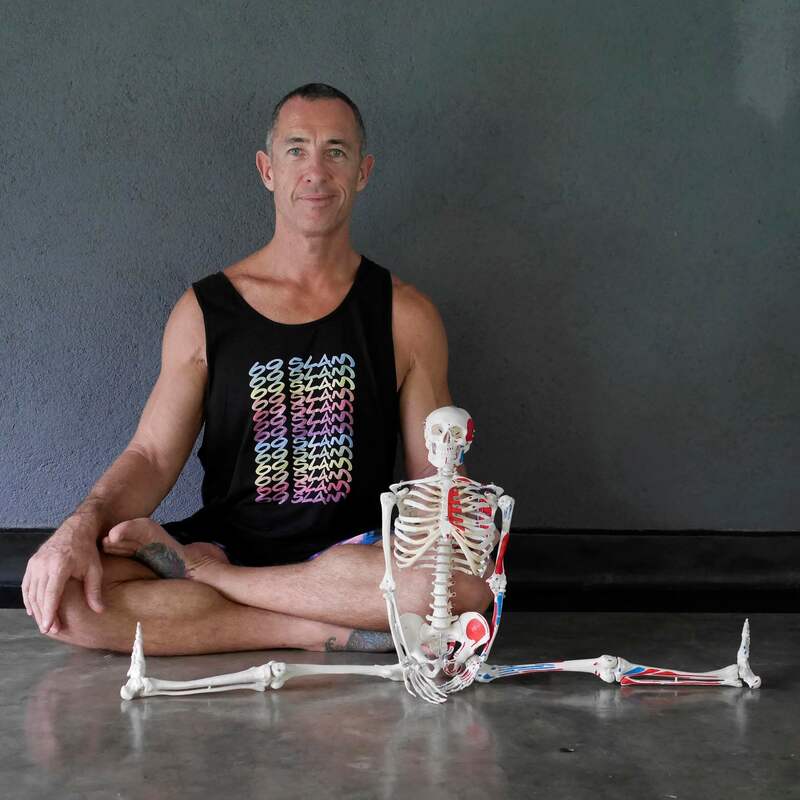 He has been practicing yoga for 15years, has a BSc Hons in Health Studies and for the last 10 years has been offering Therapeutic Bodywork exclusively for yoga practitioners. The underlying philosophy that guides what he shares is that knowledge is of no value unless we can understand how to use it and have use for it. With this in mind the workshops he offers focus on: what makes us individual, how can we understand our limitations and restrictions and how can we avoid injury and create balance. Stu endeavours to bring as much fun and practical experimentation into every workshop and emphasises the importance of getting to grips with the concepts rather that getting bogged down in the detail. 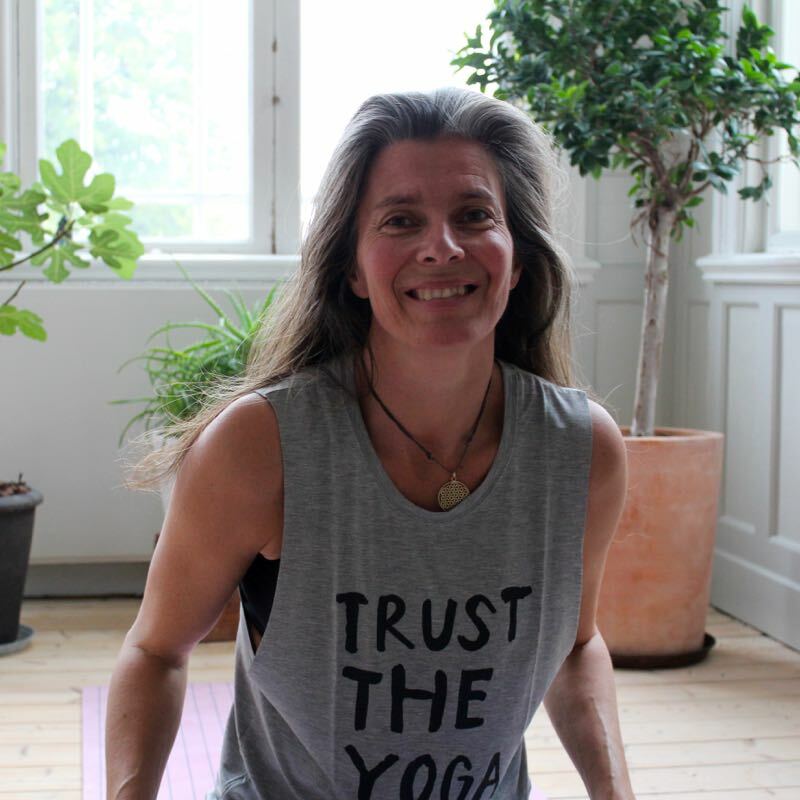 This weekend we also add to this the possibility of an ashtanga yoga practice with authorized teachers Camilla Silver & Johan Lundback. Breakfast: 9.30-10.00 (we will offer a light breakfast, you can also bring your own). Anatomy class: 14.30-17.00 Unravelling theGatekeepers. Investment:2400SEK for the whole weekend. 2000SEK for Anatomy Class bundle (no yoga). Looks at the construction of the hip joint and how individuals may differ, the muscles around the joint and how they will influence movements in certain directions. So many yoga postures involve a certain degree of freedom in the hips and sometimes it can be hard to determine what is stopping us reaching our desired position. Practical exploration of groups of postures under the headings of forward folding, hip rotations and hip ab/adductions will allow students to discover where they need to focus their attention and how to effectively work on increasing the ranges of motion. Postures commonly used for exploration include, Baddha Konasana (Butterfly), Upavishta Konasana (widelegged forward fold), Squatting, Paschimottanasana (seated forward fold), Firelog and Virasana variations (Heros pose). We will also consider how many postures may fall unbeknown into the category of forward folding and explain what will be the likely expression of restriction. Arm balances can be fun and exciting to play with even if they are not part of your normal practice. They build strength, co-ordination and focus but they can also put pressure on the wrists and shoulders if we are not ready for them. In this workshop we will take ananatomical look at the skills, proficiencies and ROM we require, before exploring the technical detail of how to perform the different arm balances. There will be a large percentage of practical experimentation with the exact content being tailored to suit the general ability of the class. In Ashtanga Yoga there are particular postures that are often referred to as ‘gatekeepers’ because they frequently halt the progression through the series of even the most enthusiastic and determined student. In other styles as well there would be postures in any given sequence that might be considered peak postures, providing extra challenges for the student. Presupposing that the student has the technical knowledge to perform the particular posture, sometimes the difficulty is a strength thing, sometimes a missing range of motion (ROM) or easily a combination of both, maybe balance or even fear enter into the equation. In this workshop we single out some of the more tricky postures such as Bujipidasana, Marichyasana B & D, Supta Kurmasana and Pasasana as vehicles for understanding how to deconstruct difficult postures into understand able elements that can then be worked on individually or used as the basis for sensible lead in sequencing. If time allows we will also open up the discussion to include postures being worked on by individuals at the workshop. Of course what will be a peak posture for one person might not present much challenge at all for another depending on their individual make up. Exploration of these more difficult postures allows you to better understand where your restrictions and weakness might be as they are less easily accommodated or avoided in these situations.